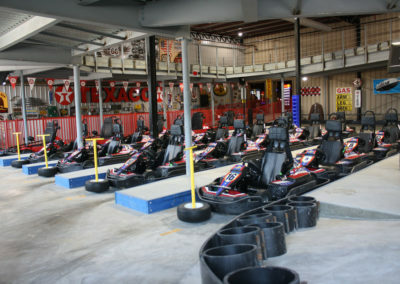 Buster's Garage - Miner Mike's Inc.
Indoor Go-Karts at the Lake of the Ozarks! Enjoy Miner Mike’s and Busters 15,000 sq ft expansion! 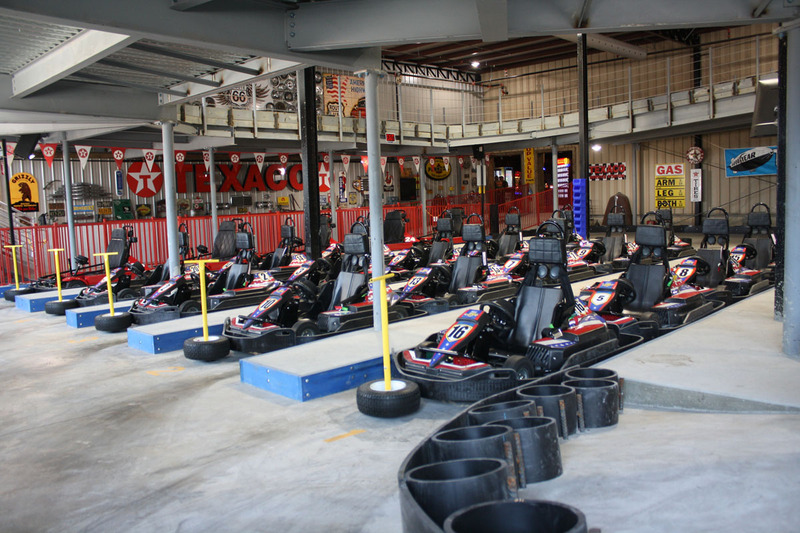 This new addition is now home to the largest indoor elevated electric go-kart track in the U.S!! More information to follow, so stay tuned! Must be at least 48” tall and 8 years of age or older to drive. 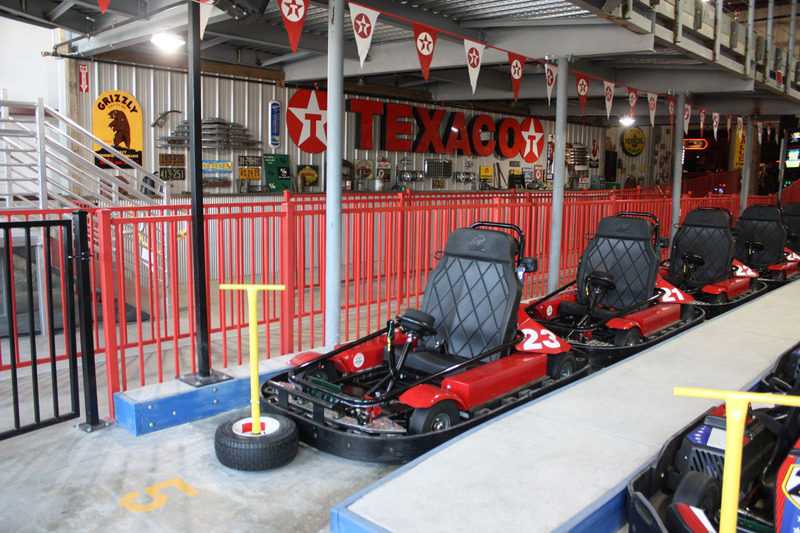 Double-seat Go-Karts are available for those too young to drive. A passenger must be at least 4 years old and 36” tall to ride with a qualified driver. 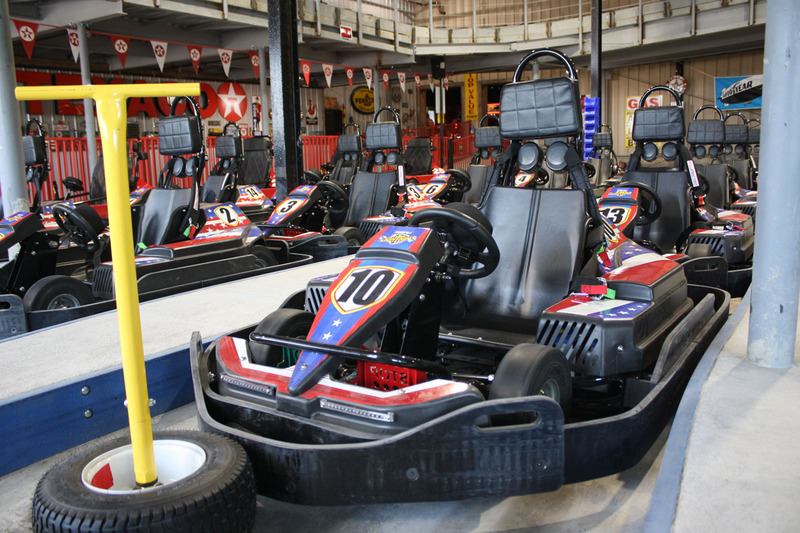 Driver must be able to reach the pedals to operate the Go-Kart in a safe manner. All riders and drivers must be able to be properly strapped in with a seatbelt. 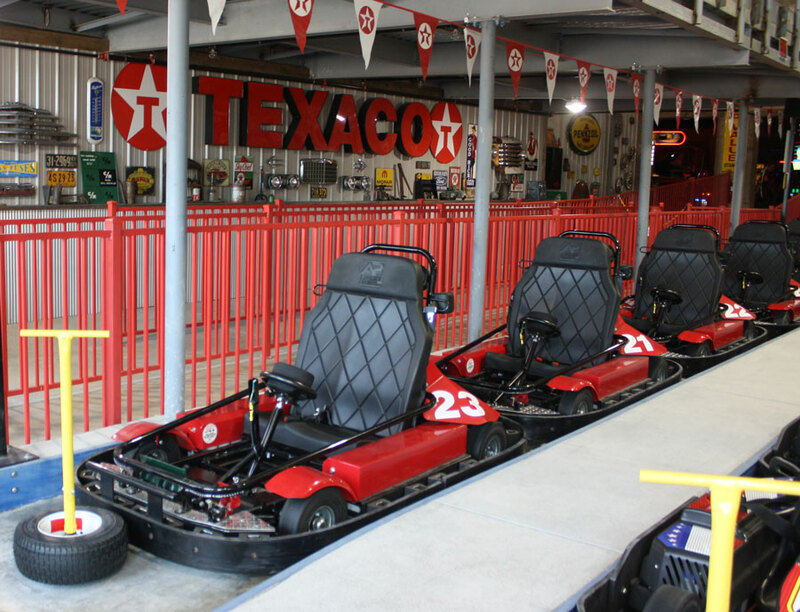 Keep hands and arms inside the Go-Kart at all times. 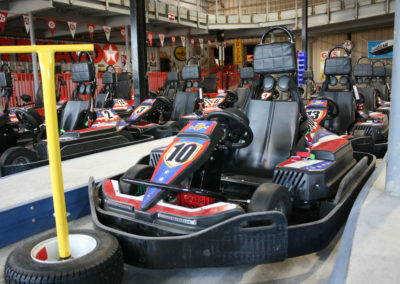 Stay in Go-Kart at all times while on track. Hair longer than shoulder must be secured-this may include being in a ponytail and/or tucked into your collar/shirt. 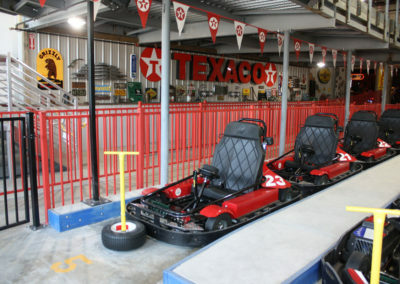 No loose articles in the Go-Kart, including wearing hats. 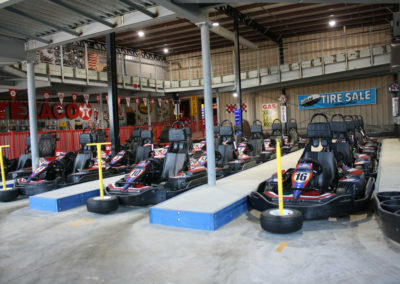 No food, drink or chewing gum in the Go-Kart area. 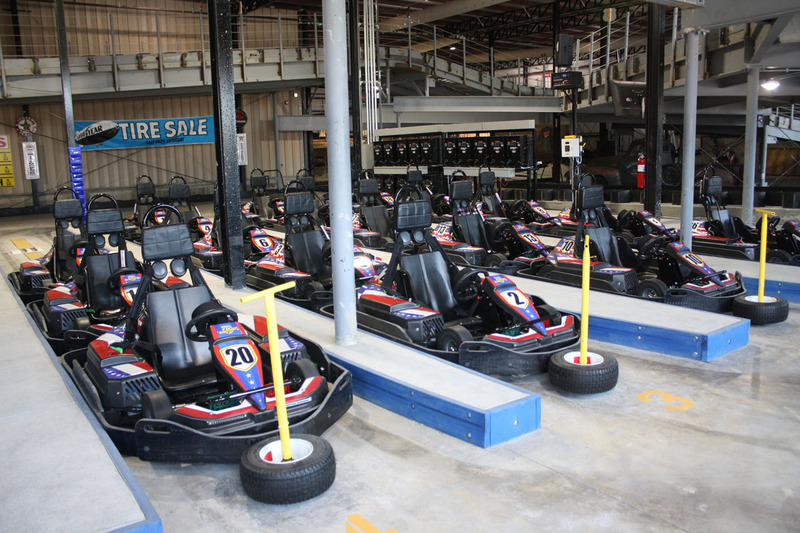 Double Karts are designed for the enjoyment and safety of our younger riders and not racing. 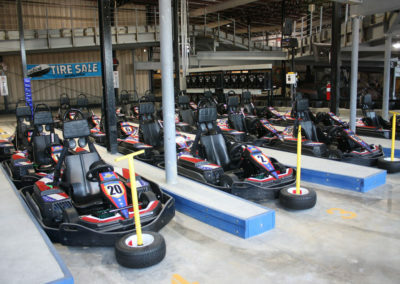 Therefore, Double Karts will not be as competitive as the Single Karts. Individuals must verify drivers and riders are within height and age restrictions when purchasing tickets. Thank you and have a great day of racing at Buster’s Garage! other riders, he or she may be removed from the track without refund.